Headless mannequins are nothing new, but I think we sort of fill in the heads in our imagination. 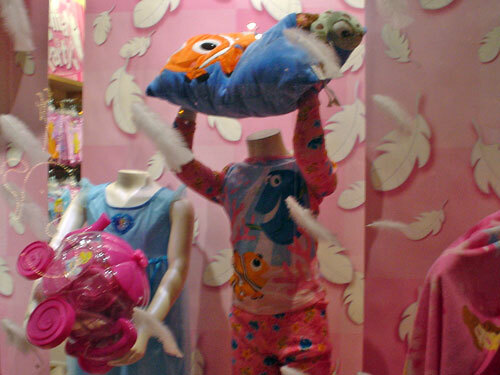 This one in the Disney Store window display is holding a pillow where her head would be! So either she really doesn't have a head (creepy!) or she's the victim of a horrible slumber party accident (horror! ).